Visible Grounds exhibition and art curating in collaboration with Professor Eija Timonen and Kalevala Society, Valo Gallery, Rovaniemi, Finland 18.10.–9.11.2017. My photography series On Foreign Grounds in a group exhibition by the staff members of the Faculty of Art and Design, University of Lapland. The exhibition was curated by the director of the Photographic Gallery Hippolyte Henna Harri. 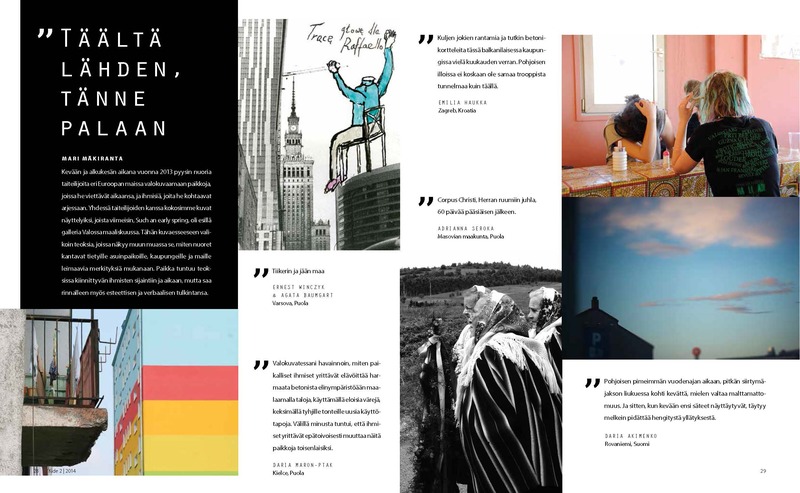 The catalogue is designed by Sara Korkala and edited by Professor Jaana Erkkilä and Visual Artist Leila Lipiäinen. The photographs of the exhibition catalogue by Marko Junttila. Our Meetings exhibition in Vaasa City Art Hall consists of young peoples’ dreams and future hopes in Namibia, South-Africa and Europe. During the exhibition we organized two workshops in order to develop and study decision-making, communality and city planning in youth communities. The exhibition brings together young people living in different countries and continents, and asks how the political, regional and societal changes affect on young people. The aim is to give voice and visibility to young people and empower them through art. The exhibition was organized together with Professor Satu Miettinen and Service-Designer Reetta Kerola. Bok & Bild is a two-day festival for arts and literature held in Art City Hall, Luleå, Sweden. This year the theme of the festival is Finland. 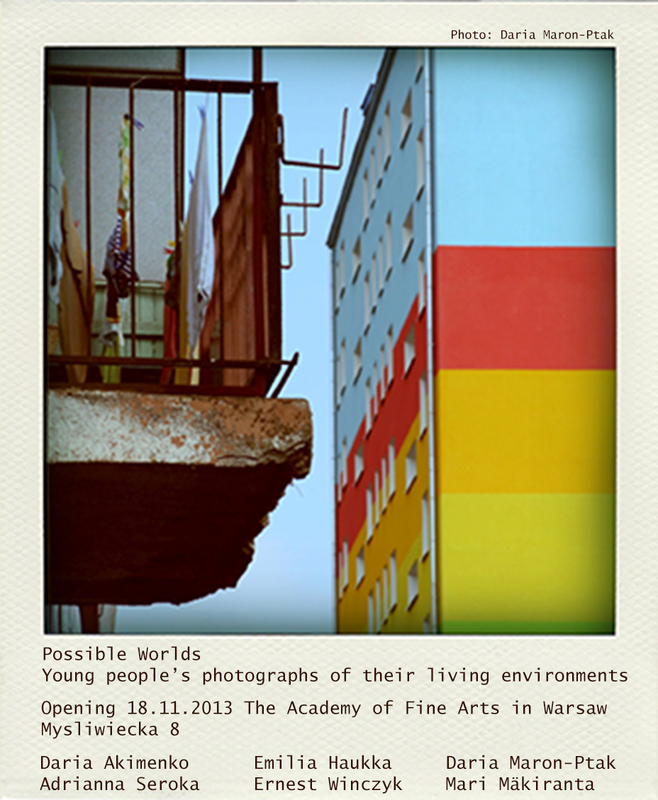 I am happy to be part of this festival with my project “Young people’s living environments and photography art”. See you in Luleå in October! This visual essay is the selection of the works related on Such an Early Spring exhibition. The essay illustrates, how the young people characterise the meanings of their living environments; place seems to adhere to the people’s location and time. Place also gets the aesthetic and verbal interpretation in the essay. Over a period of a spring and summer in 2013, 16 young artists photographed their living environments in Finland, Estonia, the Netherlands, Poland, Croatia, Slovenia and Russia. The Such an Early Spring exhibition demonstrates how young people interpret the social changes, cultural diversity and everyday experiences that are attached to their living surroundings. The exhibition and research has been funded by the Finnish Cultural Foundation. Photographs by: Daria Akimenko, Roselinde Bon, Daria Maroń-Ptak, Mari Mäkiranta, Anka Simoncic, Alexandra Shpiro & Ana Žolnir. Film by Nuno Escudeiro, Mari Mäkiranta & Daria Akimenko. 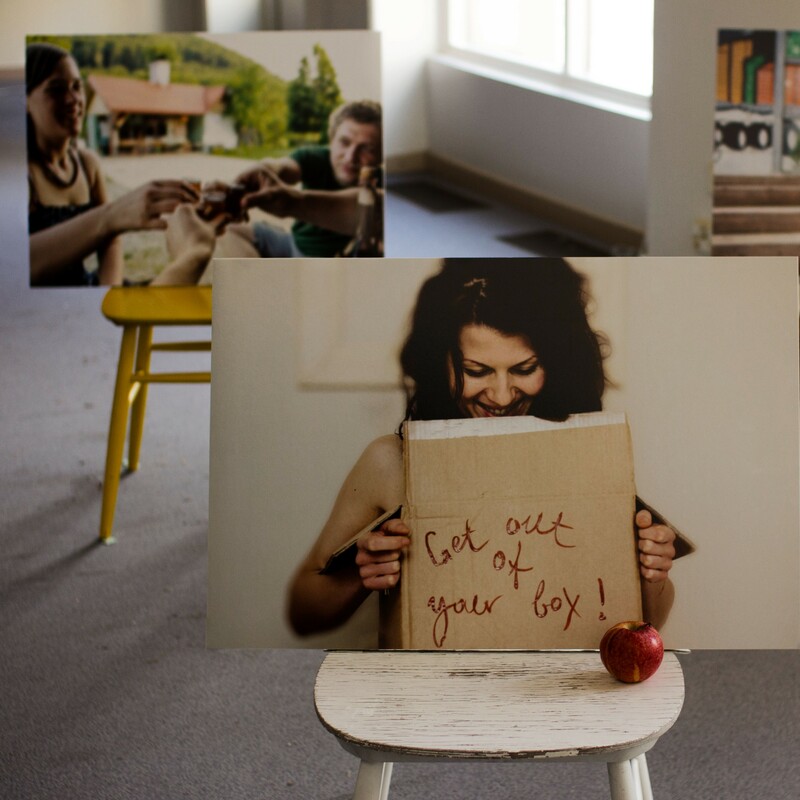 The material of the film contains the still photographs and stories related on young people’s living environments. Thank you all the participants from Poland, Finland, Croatia, Russia, Slovenia, Estonia and the Netherlands. In 2012 we organised with Asta Jónsdottir, Outi Ylitapio-Mäntylä and Emilia Haukka an international arts-based workshop in Finland and Iceland. The workshop was collaboratively held among the University of Lapland, the Iceland Academy of the Arts, and Cirrus – the Nordic and Baltic Network of Art and Design Education. Fourteen art students from seven countries participated in the workshop. The aim was to create a space for internationally and culturally diverse artists with the goal of supporting critical and sustainable thinking and consciousness, art-making and creativity across national and cultural boundaries. 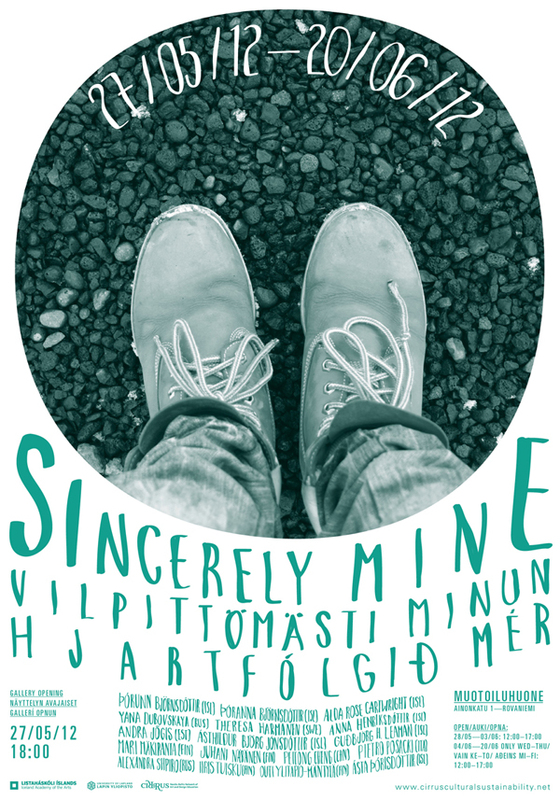 After the workshop, we held a Sincerely Mine gallery exhibition in the Rovaniemi Show Room. The exhibition embraced and made public the outcomes of the workshop, such as photography installations, short films and animations.